Zambia is a spectacular country that offers travelers a vast range of diversity of landscapes, natural vegetation, and wildlife. Enjoying a wonderful safari during your time in Zambia, and travel across the Western Cape across to South Africa, where you will get a mix of time Cape Town and the relaxing pace of the Cape Winelands. On arrival at Johannesburg International Airport, collect your luggage and make your way to the SAA counter located at the International Departures Terminal for your flight to Livingstone, Zambia. Arriving in Livingstone, you will be met by a representative of Royal Chundu who will transfer you to the lodge. Royal Chundu Lodge is upstream from Victoria Falls, on a 15 kilometer stretch of private waterway. Royal Chundu is close enough to Chobe National Park in Botswana that Royal Chundu offers day trips into Chobe. This ideal location makes it easy and convenient for guests to combine Victoria Falls with a fantastic Big 5 safari experience. The Royal Chundu is located between Victoria Falls & Livingstone in Zambia. Royal Chundu Lodge, which translates as the ‘meeting place of the chief,’ is an oasis of quiet relaxation and unsullied beauty on the banks of the mighty Zambezi River. 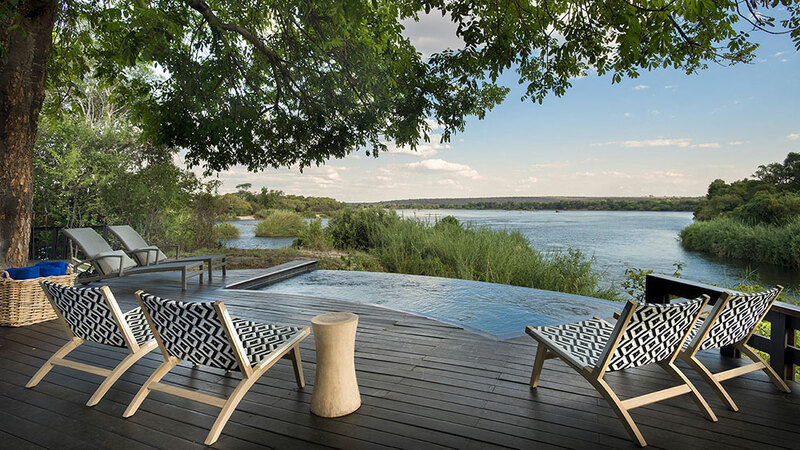 Consisting of not one, but two luxury lodges, Royal Chundu commands its own private piece of the Zambezi River, guarded by rapids at either side with nothing but the majestic bushland as far as the eye can see. There are lots of activities experienced from the lodge and you can also enjoy a great safari at Chobe Game Reserve which is only a 15-minute drive from the lodge and visit Victoria Falls which is 70km from the lodge. After a hearty breakfast and check out, you will be picked up driven back to Livingstone Airport in time for your flight to Johannesburg. Arriving in Johannesburg OR Tambo International Airport, collect your luggage and make your way to the Domestic Departures Terminal for your flight to Cape Town. On arrival at the Cape Town International Airport, make you will be picking up your rental car that will be your means to getting around this amazing city and exploring all the attractions it has to offer you over the next nine days. Your first destination is The Waterfront Marina, your apartment complex next to the harbor in the V&A Waterfront, number one most visited tourist attraction in Africa. The Waterfront Marina is the perfect base to explore Cape Town and its surroundings. The Waterfront Village is the residential area of the V&A Waterfront between the Cape Grace Hotel and the One&Only Hotel. There is a range of self-catering luxury apartments available for rental in this area. The apartments come in different sizes from single bedroom to the more spacious three bedroomed penthouses. The apartments are very luxurious and although self-catered we can arrange for breakfast to be delivered to you. However, you are a short walk from the V&A Waterfront where you will find a choice of the best restaurants and cafés in Cape Town. From the V&A Waterfront, you can catch the Hop-on-Hop-off buses that tour the city and stop at places such as Table Mountain, Simon’s Town, Cape Point, and Camps Bay Beach. The ferries to Robben Island also depart from the V&A Waterfront. 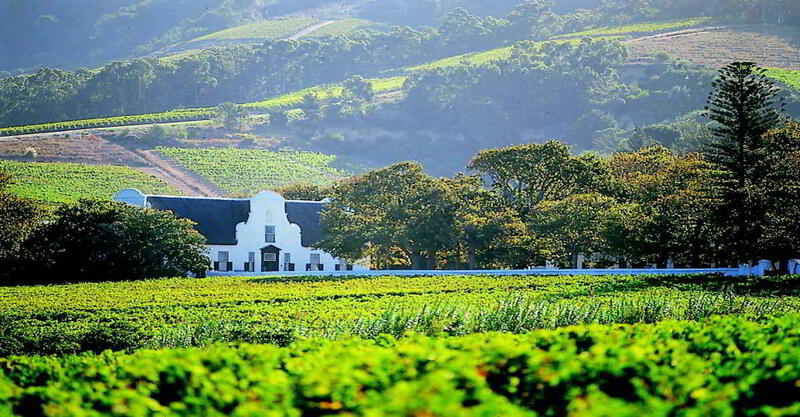 From Cape Town, you drive to the small university town of Stellenbosch in the heart of the Cape Winelands. Here you will be staying at Majeka House which is a lovely small design hotel on the outskirts of Stellenbosch. Majeka House is a beautiful, private boutique hotel, owned by Karine and Lloyd van der Merwe, nestled in the heart of Cape Town’s Winelands. The large central pool with a retractable glass roof is a favorite with guests, as it allows year-round swimming. The décor throughout is modern with light tones, and beautifully patterned wallpaper and the best feature is the long pool under glass roofing which slides open so guests can swim all year round. The Jacuzzi, sauna and steam room will undoubtedly be a favorite before taking to the gym or maybe straight off to the spa. Lovely garden with sun loungers and outdoor tables and chairs set for breakfast, lunch and dinner or just for a nice drink taking in the tranquil Winelands surroundings. There are two additional smaller and more private pools, one at the villa and one by the three superior rooms, so guests do not need to feel on top of one another. After a hearty breakfast at Majeka House, you will leave and be on your way to Cape Town International Airport, return your rental, before checking in for your flight to Johannesburg. After such a spectacular getaway you are guaranteed to be leaving with so many wonderful memories and stories to tell all your friends and family back home.